India 7-159 (Yuvraj Singh 60, MS Dhoni 24, Brad Hodge 1-13) beat Australia 86 (Glenn Maxwell 23, David Warner 19, Ravichandran Ashwin 4-11, Amit Mishra 2-13) by 73 runs. The Blue Shirts powered 159 with three wickets in hand in 20 overs and the innings of the Kangaroos was folded back for 86 mere runs in 16.2 overs. Ravichandran Ashwin (India) was announced ‘Player of the match’ for his lethal bowling spell of 4-11. The ICC World T20 – 28th Match, Group 2, was played on Sunday, March 30, 2014, at Shere Bangla National Stadium, Mirpur. Earlier, George Bailey won the toss for Australia and invited India to bat first. The decision seemed vital when the men in Blue went down by four quick wickets at 66 in 11.3 overs. Yuvraj Singh and his captain MS Dhoni started the repair work with regular boundaries. The first got his form back, he dispatched the ball out of the fence at will and attained his 8th T20 fifty in the 18th over. The duo enhanced the score to 150 when Dhoni was clean bowled by Mitchell Starc for 24. Yuvraj Singh departed two runs later for 60 off 43 with 4 giant sixes and 5 fours as India smashed 7-159. Brad Hodge, Glenn Maxwell, Mitchell Starc, Shane Watson, Doug Bollinger and James Muirhead shared one wicket each. 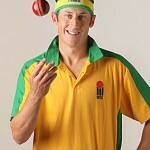 The Kangaroos were in danger from the word ‘go’ since they lost their three top order batsmen at 21. David Warner along with Glenn Maxwell tried to stabilise the innings but were successful in taking the score to 44. The first departed at that point for 19 and Maxwell became the next victim 11 runs later for 23. The rival bowlers penetrated through the middle and lower order batting of the Aussies and the wickets were falling like ninepins. 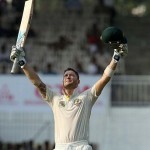 Brag Hodge scored 13 as the entire Australian side was bowled out for just 86 runs with 22 balls still available. Ravichandran Ashwin was the supreme bowler with four wickets, Amit Mishra held two whereas Bhuvneshwar Kumar, Mohit Sharma and Ravindra Jadeja chipped in with one wicket each. India triumphed in their final group match with a hefty margin of 73 runs and leads the table with eight points.